Marta Mateus and Anne Woodcock from Ladies Fishing were guests on The Lunchtime Special NE1.FM chatting to presenters Sam Harris and Steve McGuire about fishing and wine. 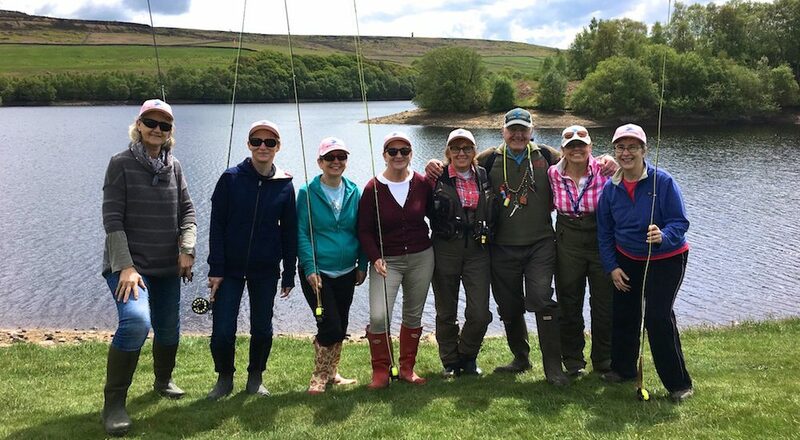 Anne was contacted 6 weeks ago by the radio team asking if she would like to be on the show to talk about the great work the Ladies Fishing group are doing in the local community from introducing females, juniors into angling to fund raising for good causes. Anne asked if Marta could come along, because of her contribution to the group and her fabulous business Martavine. So Marta was also a guest….to talk about Martavine. This was a first for both Anne & Marta they were both nervous, these nerves were quickly eased by the jovial and fun banter from the presenters. Anne was first to be interviewed. The interviewers were animated and interested in her job at the global online fishing company FishPal, as a result of a member of the FishPal staff attending a ladies day. Marta’s turn came next and she wowed the presenters with her knowledge of Portuguese wine and her passion for her home country Portugual. ← Here come the girls, River Tweed. Thank you for you lovely comments…Marta was just fab ! Marta always brings with her sunshine to any of the ladies events…so it was great for both of us to be guests on the radio programme.